Electropar PLP - Managing Director. Brett's most recent role was the Managing Director - China and Regional Manager Asia for Actronic Technologies - a Trimble Company. Actronic is a New Zealand company focusing on the creation of electronic measurement and control products and software. Bringing has 20 years industry experience in a variety of roles including General Manager - Energy with Siemens, New Zealand, General Manager - Organisation Development at WEL Networks, New Zealand and also in Melbourne as Principal Consultant and Partner with the UMS Group Inc. a boutique global utilities and infrastructure consulting practice. David has worked in the Power Transmission and Distribution industry for over twenty five years, being heavy involved with T&D projects across the UK, North Africa, Middle East, Australia and New Zealand, with projects ranging from street light installation through to 400kV transmission line EPC projects. Having worked with a number of International and New Zealand / Australian based T&D companies including AMEC Power (UK), BBUGL (NZ & AUS) and Downer EDI Power (Aus), his final project prior joining Electropar PLP in New Zealand was the Pinjar to Eneabba 330kV transmission line in Western Australia, and was the Project Manager. His new role within Electropar PLP is to further develop the distribution market within New Zealand exploring and growing relationships with new and existing clients. 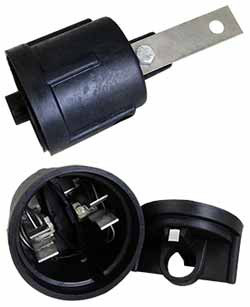 A Legacy Product from our PLP - Dulmison Connection; the NHP 100, LV Fuse for Service Connections. This product has been sold for many years in NZ. In almost all applications these fuses gave and are still giving sterling service. Electropar has re-engineered the internals on the NHP 100 to improve reliability. For 98% of your Network applications these fuses still offer you the most economical solution. re-introductory price of $25.00 + GST, delivered anywhere in NZ. Includes mounting bracket shown in photo. This classic product still has the ability to meet domestic supply needs and save your Network thousands of dollars each year. MainPower was the recipient of a merit award for their 22 kV drop-out fuse extension bracket entry for the EEA Workplace Safety Award 2013. 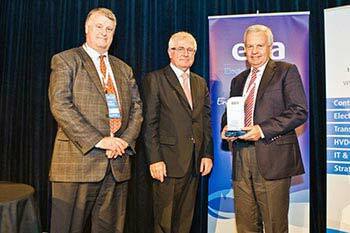 The EEA safety awards were announced and presented at the opening of the 2013 EEA conference on 19 June 2013, by the Minister for Climate Change Issues, Hon Tim Groser. MainPower New Zealand Ltd Board Chairman, Gill Cox, received the award on MainPower's behalf. This was the summing up of a three year Electropar / MainPower partnership in the development and ultimate commercialisation of the concept. This huge international event will be held at SkyCity from the 14th - 20th September, and Electropar - Preformed Products is heaverly involved. Along with presenting at the event, E-PLP will be have a stand at the exhibition, and will be running a special tour event through our East Tamaki factory's and offices for attendees. CIGRE counts more than 2,500 experts from all around the world working actively together in structured work programmes coordinated by the CIGRE 16 Studies Committess, overseen by the Technical Committee. Their main objectives are to design and deploy the Power System for the future, optimize existing equipment and power systems, respect the environment and facilitate acess to information. Click here to find out more about the upcoming CIGRE event. We are specialist aluminium welders certified, inspected & approved to AS1665 by all Major Australasian Contractors and Utilities. Each month the team fabricates over 10 Tonnes of Aluminium, 1 Tonne of Steel and varying amounts of Copper. Welding Quality is tested during manufacture at random intervals by 3rd Party Ultrasonic Inspection. EPLP utilises a mix of CNC (4-Mills, 2-Lathes) and Manual (1-Mill, 5-Lathes) machining operations, optimising production runs of single or thousands of units. There has not been a machining job to date that our CNC or Manuals Team have been unable to master, whether a one off job supporting the local community or high volume run, with short lead times and minimum material available. 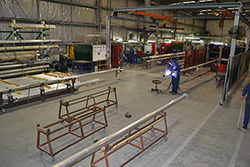 The team are continually developing specialised jigging and setups, applying clever tooling techniques to minimise waste, whilst improving throughput and quality. We ensure design integrity of our products through integrated CADCAM systems which update NC Code when the model is revised. Cornerstone to EPLPs products are the hot and cold metal forming processes transforming Aluminium and Copper Tube, Round and Flat Sections into final shapes. The workhorses of this process are our hydraulic presses from 60 to 200 Ton and Mechanical Presses from 20 to 200 Tons, as well as Pipe Rollers and Tube/Bar Bending Machines. Innovative upsetting and sleeving technology is commonplace, as is captive tooling that eliminates multi-step operations. Check out the NEW Electropar-PLP Video Archive, with some quite amazing and indepth video footage from New Zealand's Power Industry history.Thanks to Archives NZ we have compiled some outstanding documentaries from 60's and 70's. * Building The First Half-Million-Volt D.C. Transmission Line. * Building The Inter-Island Power Line. * Building the Tongariro Powerstation. Celebrate the cream of the industry's trainees. 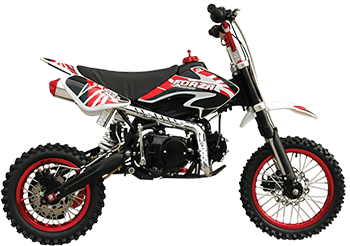 Once again this year we will be offering up the fantastic FMX 125 Pit Bikes as the major prize. Not just ONE bike! BUT FOUR!!!! 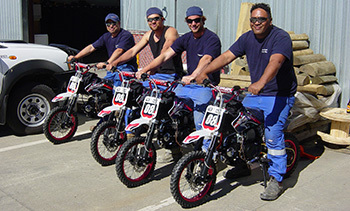 One bike for each winning team member! Visit our marquee during the event and try one on for size! 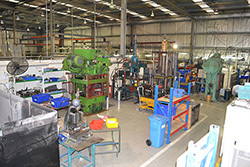 Electropar Preformed Line Products is the New Zealand distributor for the S&C Electric Company. S&C send out regular Newsletters featuring news and case studies about their latest products. If you wish to receive this infomation please click the link below and register your details and we will forward these releases on to you. Our S&C Electric Connection provides ongoing innovation for Smart Grid Automation and just plain clever Network Applications. A New Concept - A Recloser in a DDO Cut Out Mount. The S&C Electric, TripSaver® II. Available in 15kV & 25kV capability to suit our NZ standard 11 inch fuse tube "DDO" CutOut housings. Fast to install and no separate power connections - the S&C TripSaver® II has no batteries and can remain on a "dead" line ready to actuate within a half cycle of fault current. Max cont current 100A, Fault Ratings 4.3kA or 6kA. Up to 3 Reclosing operations with curves from 6 K or T to 100 K or T; other standard Industry curves also programmable. TripSaver® II vacuum interrupter resets 5 sec after each overcurrent event, trips to open for a permanent fault after following the programed TCC curves and reverts back to first TCC after 30 sec if fault was temporary. Once tripped, the device can be immediatley reset by a Faultman. TripSaver® II can also function as a Sectionaliser. Chris Burbridge is ready to help you with more details and the possibility of a trial on your Network!